City of St. Cloud is pleased to offer a free, online vendor registration system, powered by Vendor Registry. 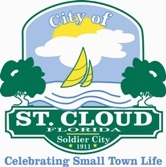 Log in to complete your registration with City of St. Cloud.